High school isn't what it used to be. With record numbers of students competing fiercely to get into college, schools are no longer primarily places of learning. They're dog-eat-dog battlegrounds in which kids must set aside interests and passions in order to strategize over how to game the system...Robbins tackles hard-hitting issues such as the student and teacher cheating epidemic, over-testing, sports rage, the black market for study drugs, and a college admissions process so cutthroat that some students are driven to depression and suicide because of a B. Even the earliest years of schooling have become insanely competitive, as Robbins learned when she gained unprecedented access into the inner workings of a prestigious Manhattan kindergarten admissions office. 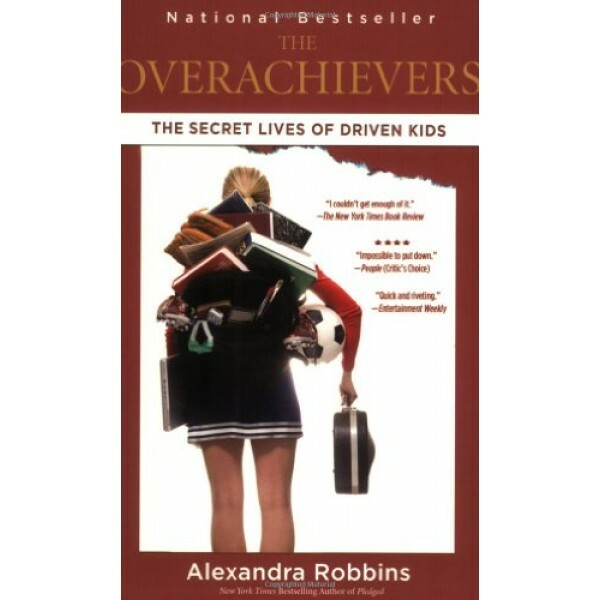 A compelling mix of fast-paced storytelling and engrossing investigative journalism, The Overachievers aims both to calm the admissions frenzy and to expose its escalating dangers. For more books for parents on helping girls handle stress, visit our Stress Management parenting section.